The Gasmate Galaxy Modules are easy to install and are supplied fully assembled. They feature stylish integrated handles and black granite tops. BQ1090 Galaxy 6 Burner Stainless Steel Gas Grill BBQ. 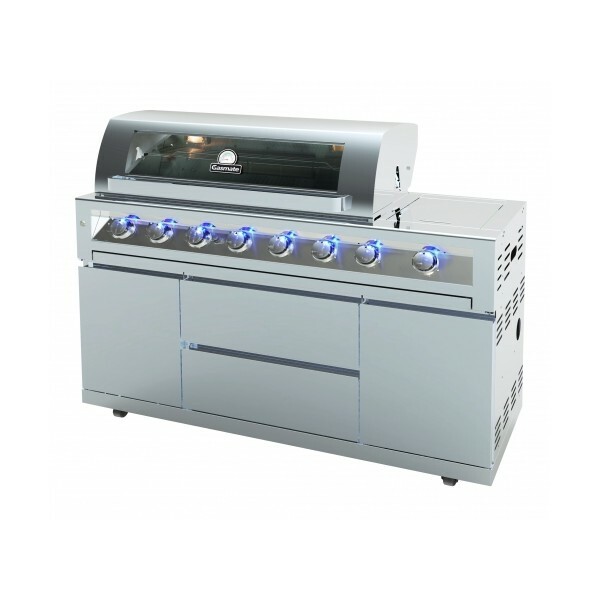 The Gasmate Galaxy 6 Burner Built-In BBQ can be incorporated into any custom styled outdoor kitchen. A great outdoor kitchen starts and ends with a great BBQ as the centre piece of your inspired design. There are more stainless steel modules and bar fridges to choose from, to really finish off your outdoor kitchen. The possibilities are endless!